QUESTION: Mr. Armstrong; Why the h–l does not the world listen to you. 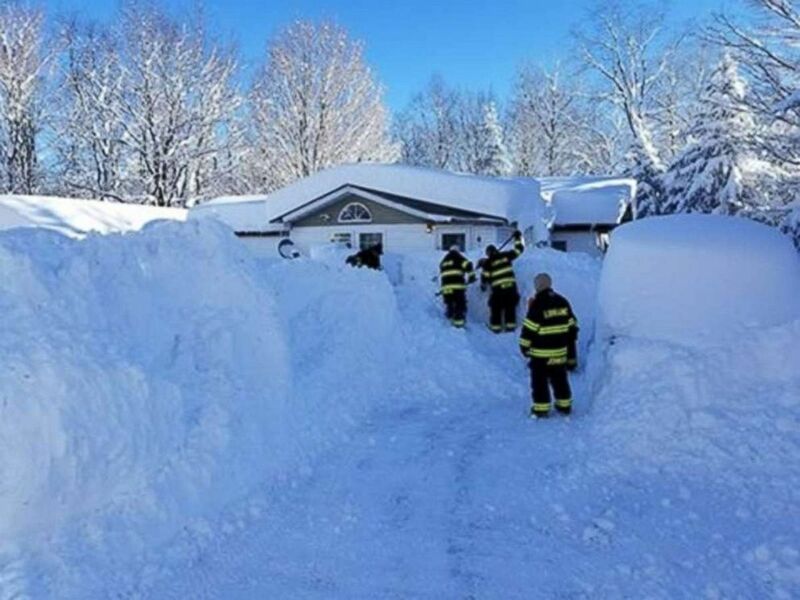 I am in Erie, Pa. We have more than 60 inches of snow without drifts. The drift on my front door is more than 8 feet. I bought extra canned food for this winter based on your forecast. I told my wife better safe than sorry. Why are they not banging down your doors? You are the only one correct on the stock market as well as weather, politics, and so many other areas. Your computer should be awarded citizenship as that AI robot. ANSWER: Well stay warm. I understand what you are saying. Nonetheless, they do not want to listen because they want to pretend they have the power to control everything. Our work proves they cannot and that is not exactly acceptable. This storm began on Sunday and has dropped a grand total of about 63 inches of snow on Erie, according to National Weather Service Cleveland. This is a serious issue with over 5 feet of snow people have to be dug out of their homes. They are reporting that this has wiped out all records for some 60 years or more. They have even now called out the Pennsylvania National Guard troops placing them on State Active Duty in northwestern Pennsylvania.